H.C. Andersens Boulevard is a black mark on a green city. Technologists aim to scrub it off. 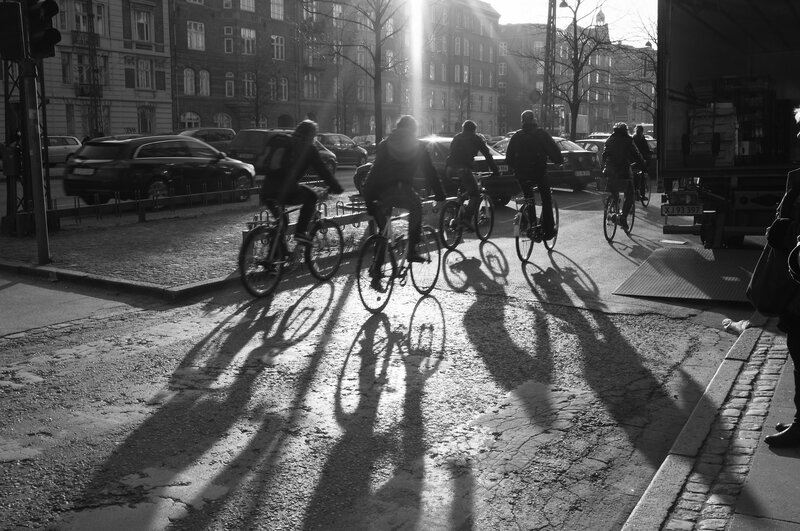 Copenhagen is an idyllic, self-contained kingdom of canals, gardens, palaces, and bicycles. Denmark’s socially progressive capital is one of the most environmentally friendly cities on Earth, topping the Global Green Economy Index for the third time in 2016. Naturally, it came as a shock earlier this year when Danish authorities found themselves at odds with the European Environment Agency, which sets limits on the amount of nitrogen dioxide permitted in the air of urban environments. Copenhagen had violated the clean air targets set for all EU member states — and not for the first time. The Danish government reacted by asking the City of Copenhagen to move an air quality measuring station away from the busy thoroughfare that seemed to be dragging the numbers up and the city down. Due to extreme traffic congestion during peak hours each day, H.C. Andersens Boulevard is the most polluted road in Copenhagen. The poor quality of the air near the road impacts negatively on the quality of life for workers, residents, and commuters. No one seems to debate that. In fact, the impact is so extreme that the road is even said to have contributed to a dip in Denmark’s tourist numbers over the past few years. Nobody wants to spend summer vacation stuck in a cloud of smog. H.C. Andersens Boulevard at night. But the officials won’t facilitate that solution, and proposals to introduce congestion charges in Copenhagen were also rejected by Denmark’s parliament back in 2012. Politicians feared that car-loving voters would react badly to an additional road tax, even if it was only applied in a specific area of the capital. So, what’s a green city to do? With an urban planning issue in the hands of a national body full of politicians likely to prioritize votes over human health, it would be easy to think that a long-term stalemate is inevitable. But hope isn’t totally lost. Tech innovators in Copenhagen are working with the city government to bring a groundbreaking solution to the market — one that could change the conversation and spur vital progress on a localized level. CPH Sense is a smart city sensor made specifically to monitor environmental factors such as air quality, pollen count, and even noise pollution within cities. “The original request for something like this came from the City of Copenhagen, hence the name. Our collaboration with them has been an important part of developing the technology,” says Vinay Venkatraman, CEO of Leapcraft, the Copenhagen-based startup that has spent the past three years working on CPH Sense. In a device no bigger than a Wii console, a collection of sensors and tiny computers whir away in unison to collect data about the area immediately surrounding them. Solar-powered, wireless, lightweight, and cheaper than anything that’s come before, CPH Sense is designed to attach to existing urban infrastructure, such as lamp posts and street signs, without taking up precious space on pavements or roads. And sensors have already revealed an interesting culprit for some of the city’s worst emissions areas. Bicycle riders and pedestrians compete for space on HC Anderson Boulevard. 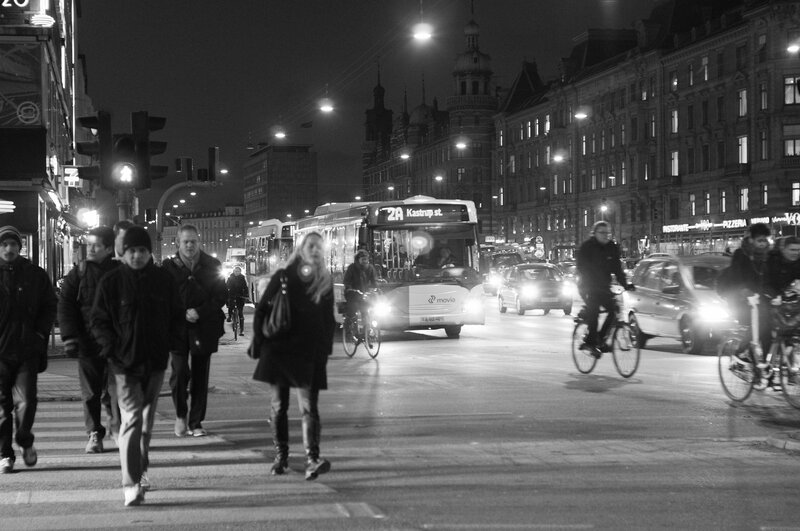 Access to the data collected by CPH Sense devices will help city governments understand environmental problems and their root causes on a deeper level, as well as explore potential solutions more efficiently. Collecting and analyzing sensor data is a positive first step towards Copenhagen improving its air quality and reclaiming its green credentials. Knowledge alone, however, won’t achieve progress. The question of whether there’s enough political will to implement meaningful solutions remains. But whatever the outcome, the ability to gather and process information about cities — quickly, accurately, and in real-time — is sure to play a pivotal role in urban futures worldwide. This is why Leapcraft isn’t limiting its scope to the local market, despite the CPH Sense technology’s beginnings in Copenhagen. The ambitious startup is already working with governments and companies worldwide to expand its sensor technology into new cities including Oslo, London, and Chennai. “We’re deploying in many cities across the world, and running field trials and pilot schemes constantly,” Venkatraman says. Central Copenhagen saw bikes outnumber cars on the road for the first time in November 2016, demonstrating how effective it is to encourage citizens to opt for green transport over emission-heavier options. In the haze of H.C. Andersens Boulevard, itself, things seem to be looking up for the year ahead. Plans for bigger cycle lanes, tree-lined pedestrian areas, and a newly-renovated metro stop off the boulevard might just help transform six lanes of traffic into an attractive, livable, low carbon hub.